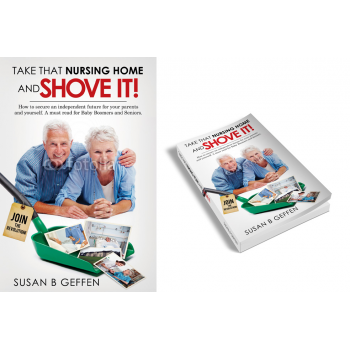 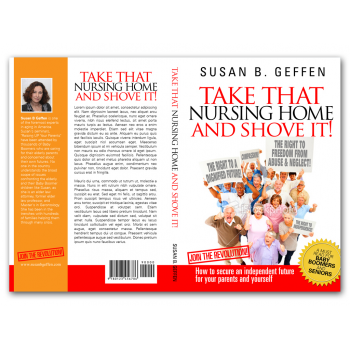 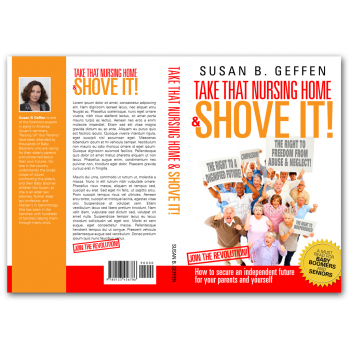 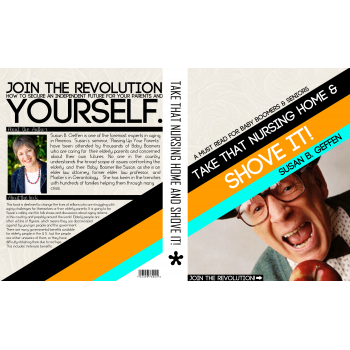 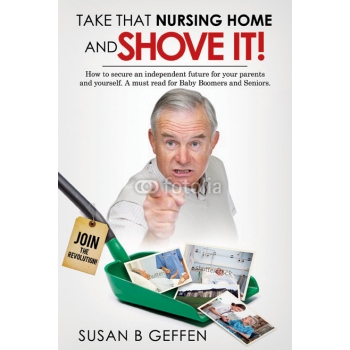 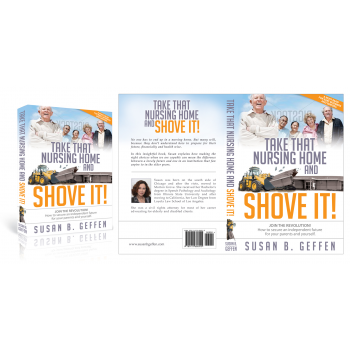 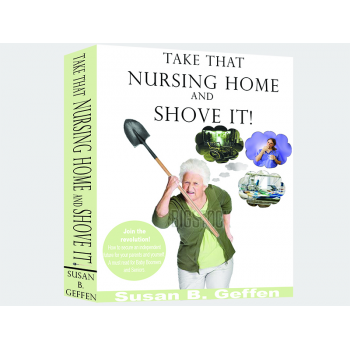 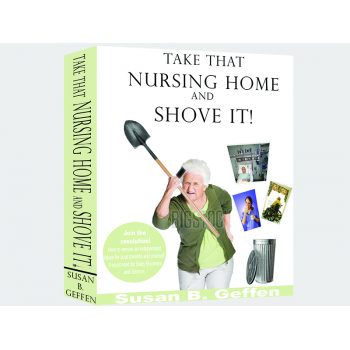 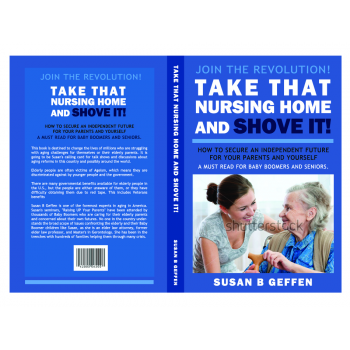 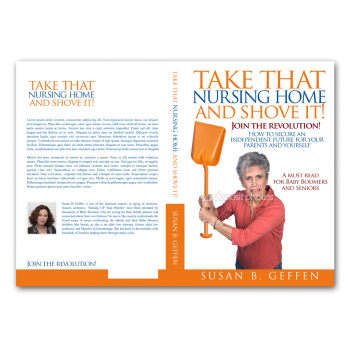 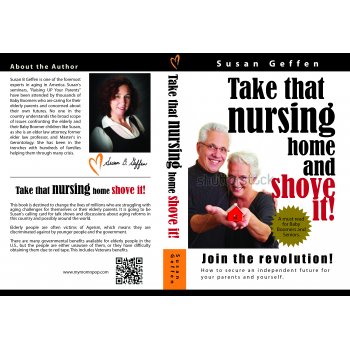 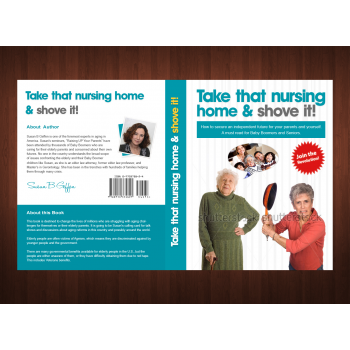 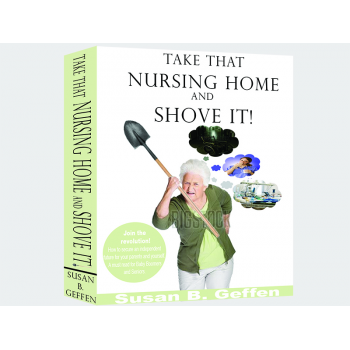 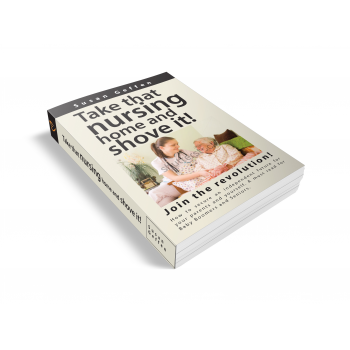 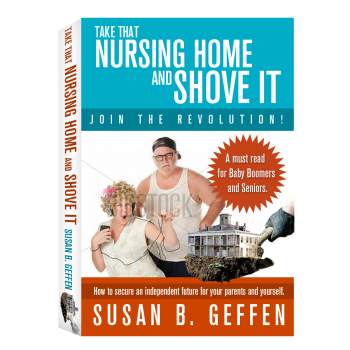 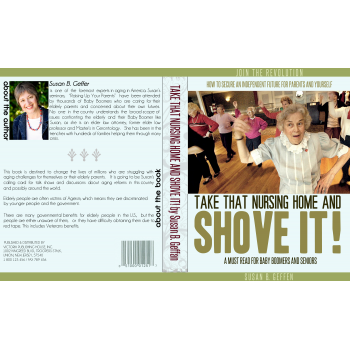 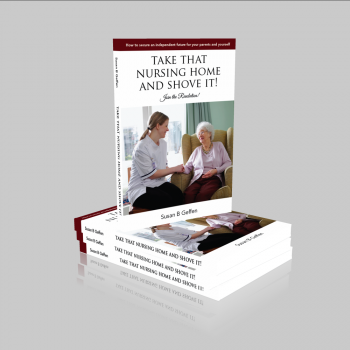 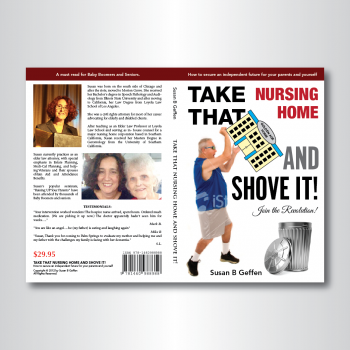 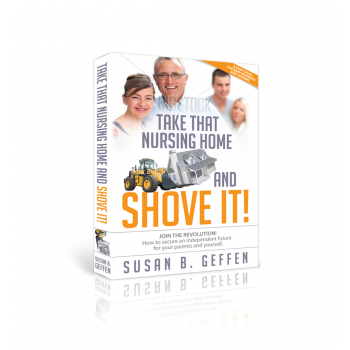 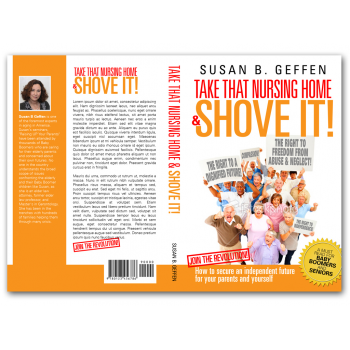 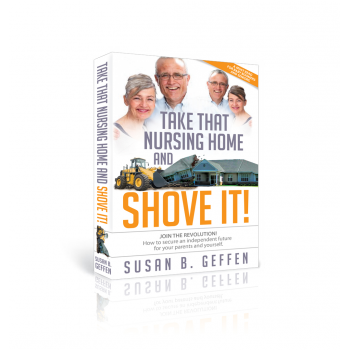 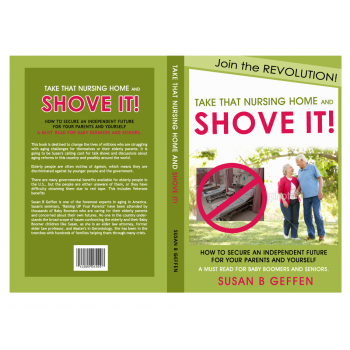 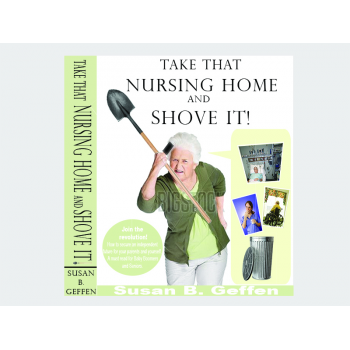 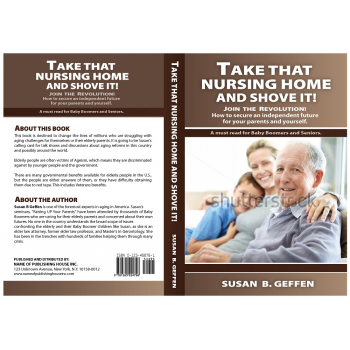 Take that nursing home and shove it! 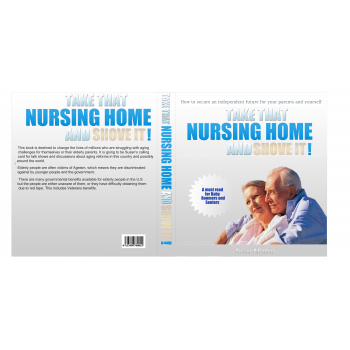 Our company educates adult children and their elderly parents about the challenges with aging, and how to meet those challenges so they can ensure a more successful future. 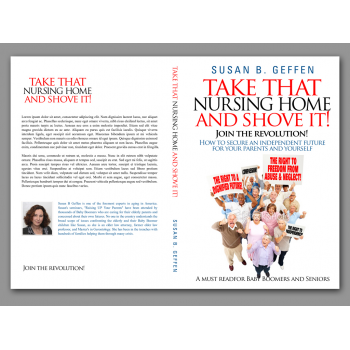 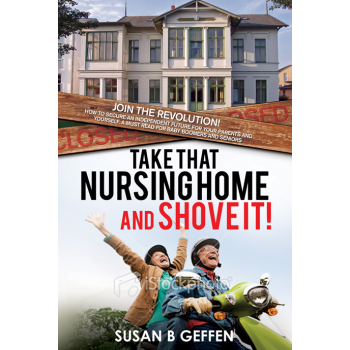 Susan B Geffen is one of the foremost experts in aging in America. 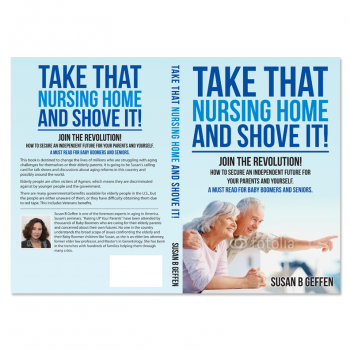 Susan's seminars, "Raising UP Your Parents" have been attended by thousands of Baby Boomers who are caring for their elderly parents and concerned about their own futures. 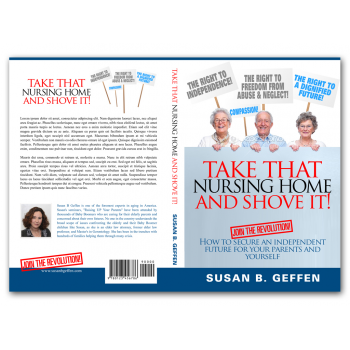 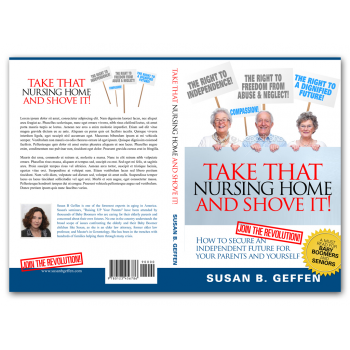 No one in the country understands the broad scope of issues confronting the elderly and their Baby Boomer children like Susan, as she is an elder law attorney, former elder law professor, and Master's in Gerontology. 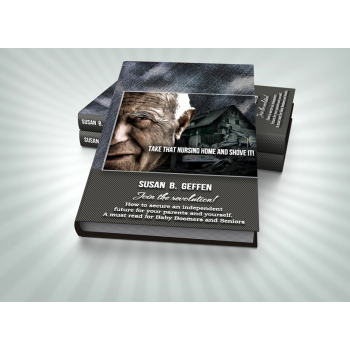 She has been in the trenches with hundreds of families helping them through many crisis. 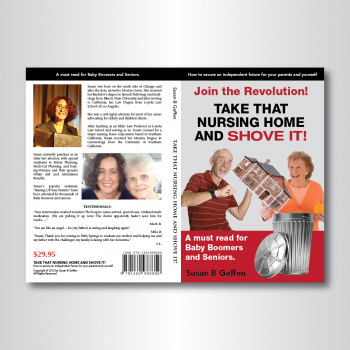 Average age of 61, educated, middle to upper income. 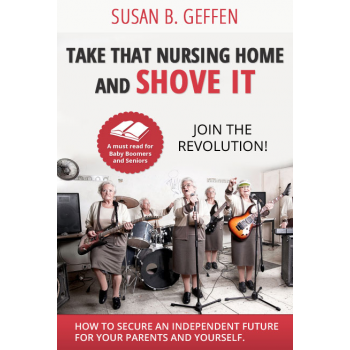 The title is powerful. 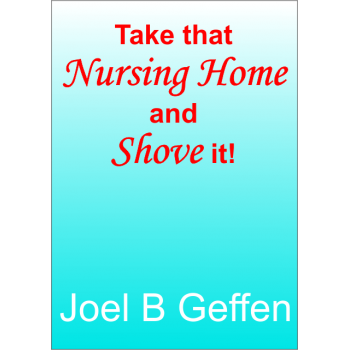 I want to graphics to communicate what the title implies. 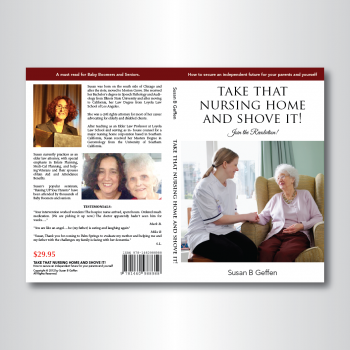 Taking charge, not giving in, having dignity and living ones elder years with joy and comfort. 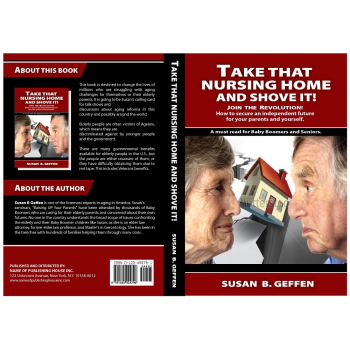 Also, the author is a former elder law professor, and elder law attorney, and has a Masters in Gerontology, the study of aging from USC. 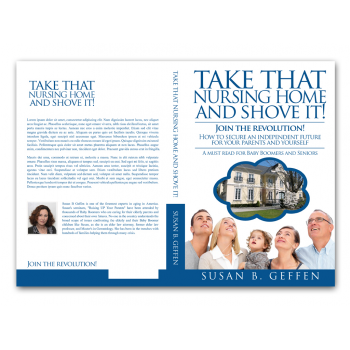 She is one of the foremost experts in the field. 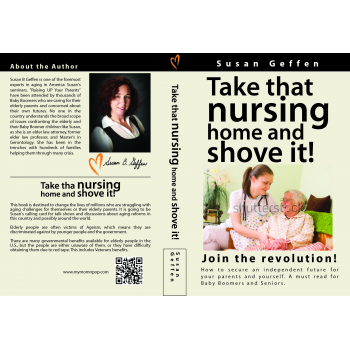 She has been in the trenches helping families and their elder care challenges for over 20 years. 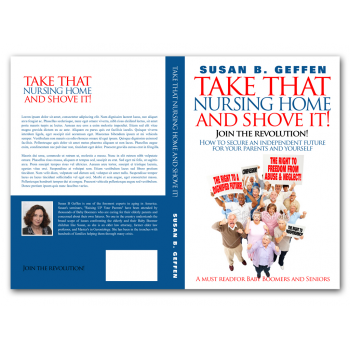 Her seminars, "Raising UP Your Parents" have been attended by thousands of Baby Boomers and their elderly parents. 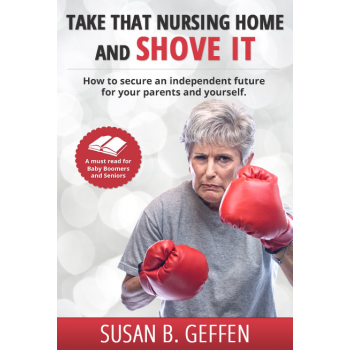 How to secure an independent future for your parents and yourself. 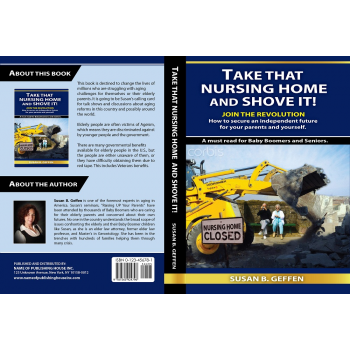 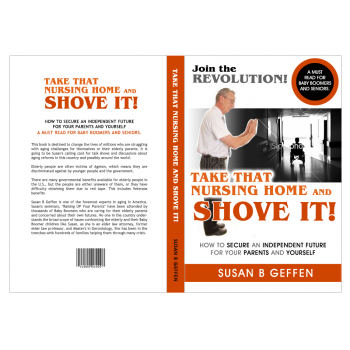 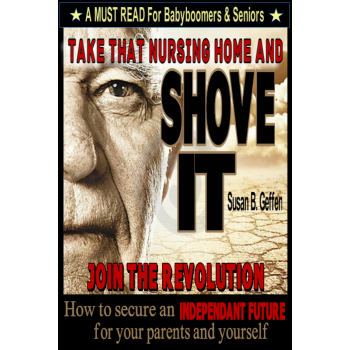 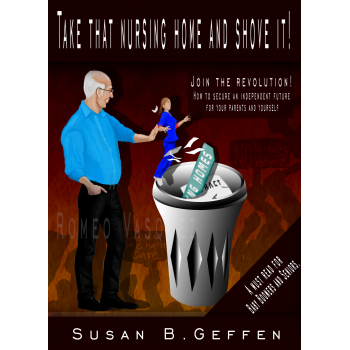 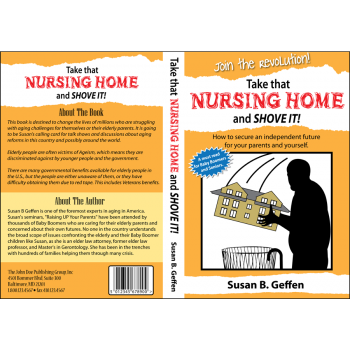 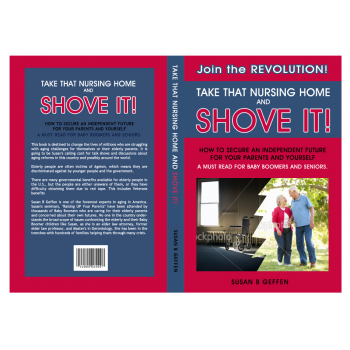 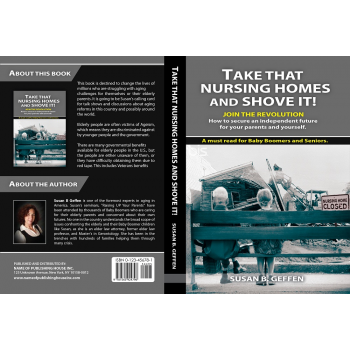 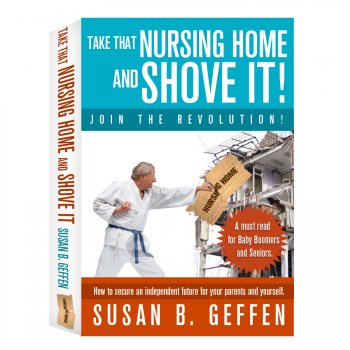 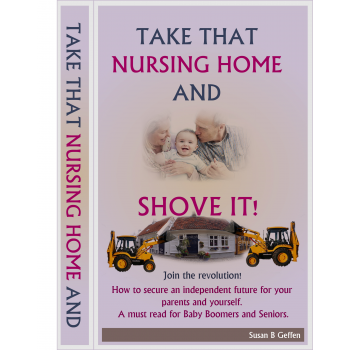 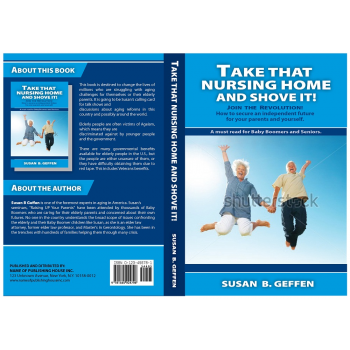 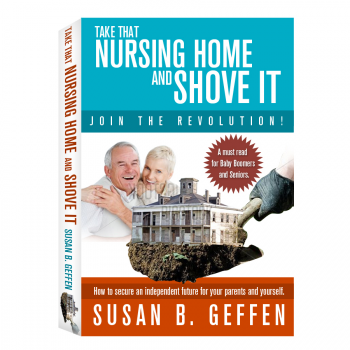 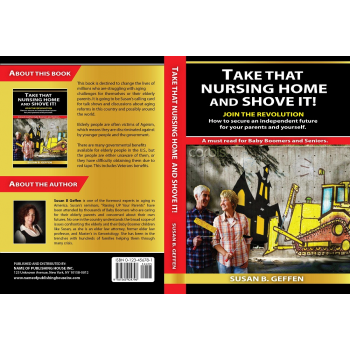 A must read for Baby Boomers and Seniors. 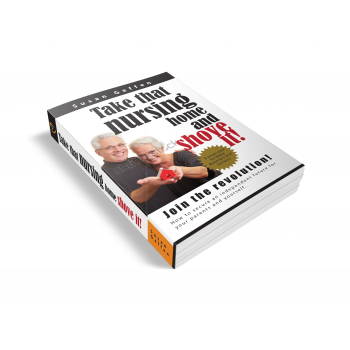 That's exactly what I need! 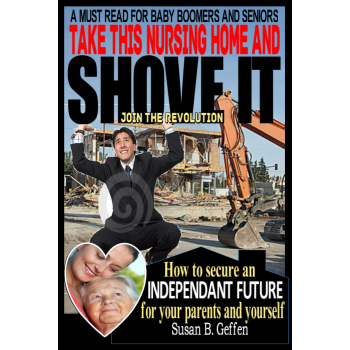 Or "That's exactly what I want my adult children to read so they can help me! 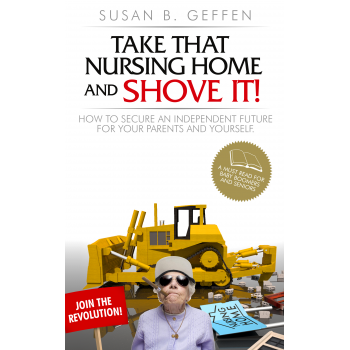 I imagine a 75 - 80 year old person with class, joy and dignity, shoving a nursing home or a symbol of a nursing home. 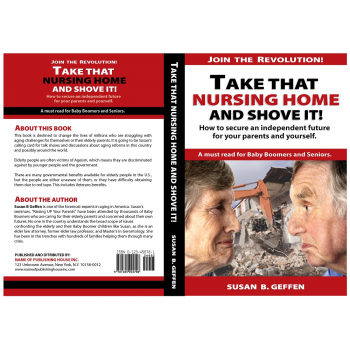 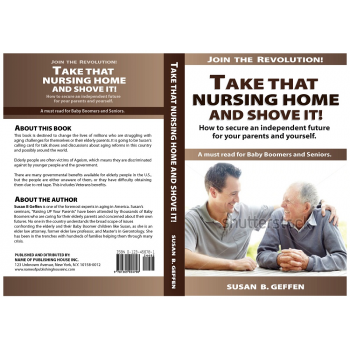 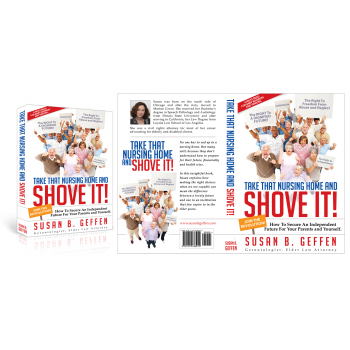 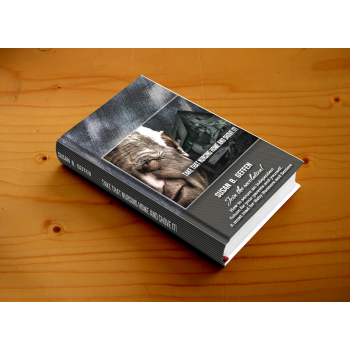 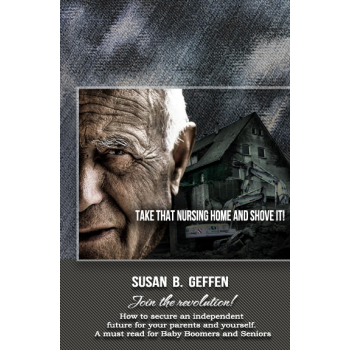 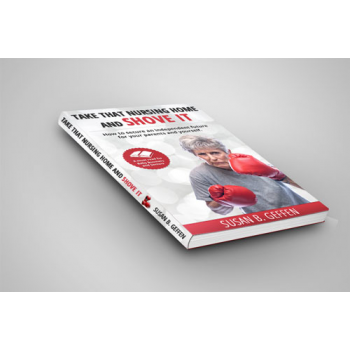 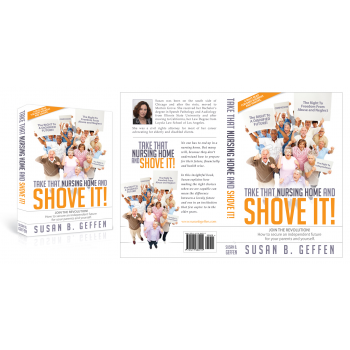 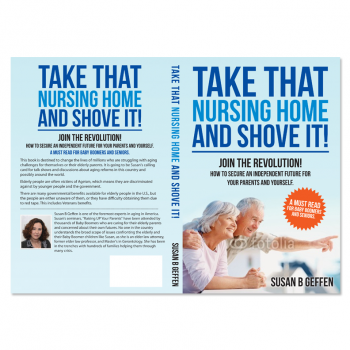 This book is destined to change the lives of millions who are struggling with aging challenges for themselves or their elderly parents. 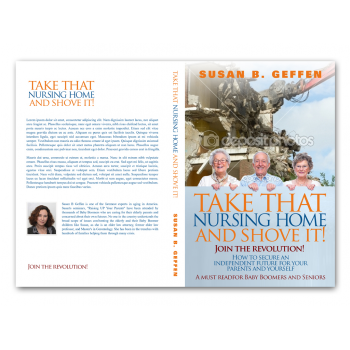 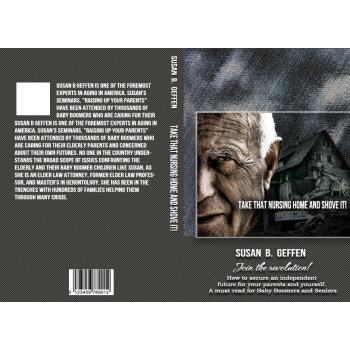 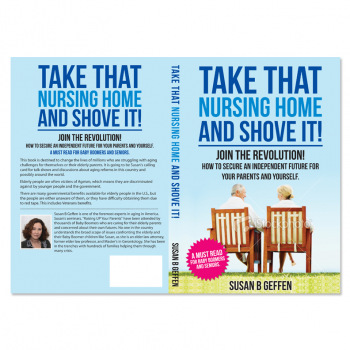 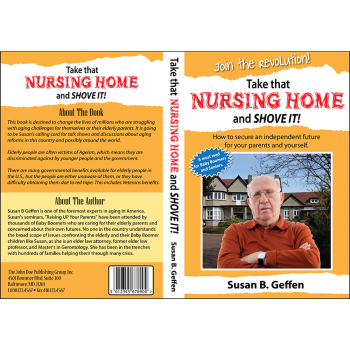 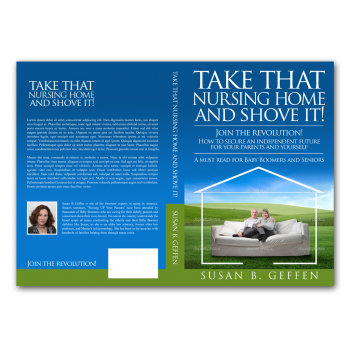 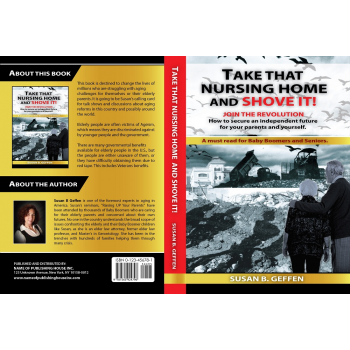 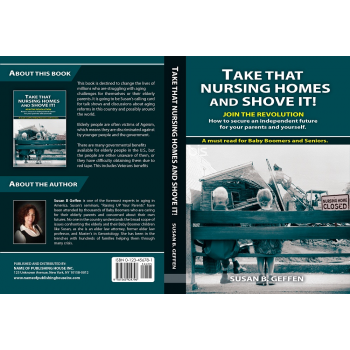 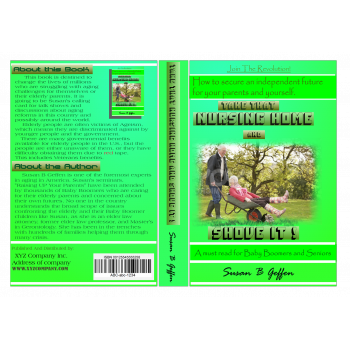 It is going to be Susan's calling card for talk shows and discussions about aging reforms in this country and possibly around the world. 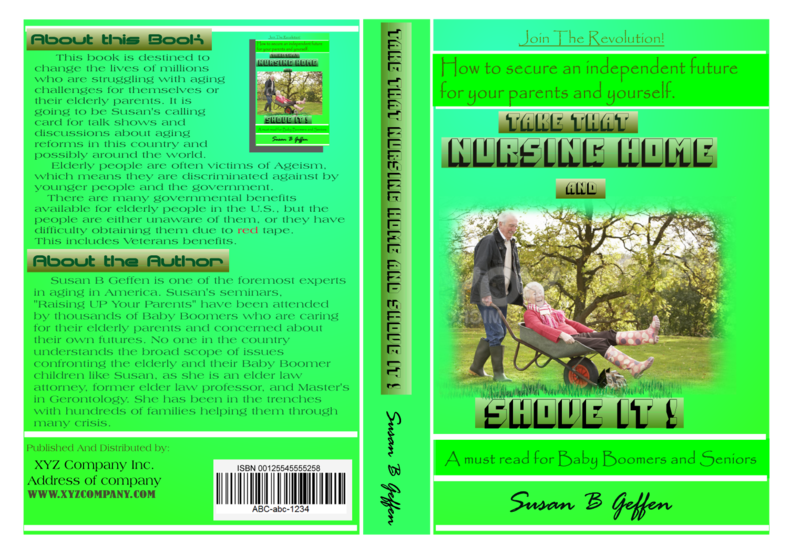 Elderly people are often victims of Ageism, which means they are discriminated against by younger people and the government. 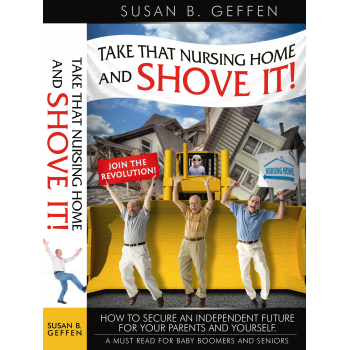 There are many governmental benefits available for elderly people in the U.S., but the people are either unaware of them, or they have difficulty obtaining them due to red tape. 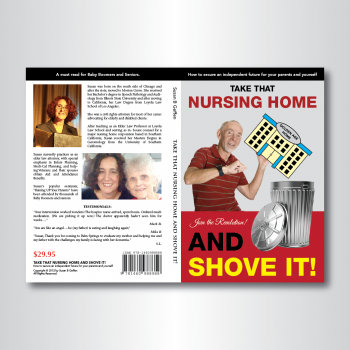 This includes Veterans benefits.